Cabbage is one of the most highly rated leafy vegetable and a marvelous food item. It is a vegetable round in shape, consisting of layers of thick leaves that grow around each other from the stem. The most common is the round, light green or white head variety. The glycemic index of cabbage is 10 which is exceptionally low. 1 cup of chopped raw cabbage provides around 4 g of CHO. So the glycemic load is only 1. Is Cabbage safe for Diabetics? The glycemic load of 1 cup of raw cabbage is 1 which makes this vegetable a safe option for diabetics. The amount of carbohydrate consumed per meal is very important to manage your blood sugar levels. The recommended carbohydrates per meal is 45 to 60 grams. 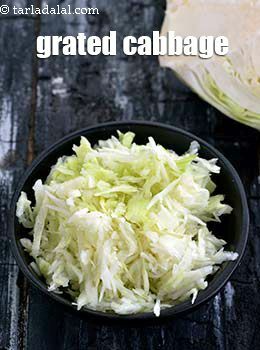 Since 1 cup of chopped raw cabbage provides only around 4 g of CHO, it won’t affect your blood sugar levels significantly. Also the fiber content will lead to slow absorption of nutrients in the bloodstream. Thus will give you a feeling of fullness, control your appetite and manage your blood glucose levels. You can include raw cabbage in your salads. Try making a sabji out of it with other vegetables and have it with multigrain chapatti/ bhakri. It is also a good source of Vitamin A which helps in improving your vision. Due to good amount of potassium, cabbage helps in maintaining your blood pressure. Is Cabbage suitable for Weight Loss? 1 cup of chopped raw cabbage is just 24 calories which makes it a perfect vegetable to fit in a weight loss diet plan. However it won’t burn your fat, but will definitely reduce your calorie intake. This is due to the fiber content which is around 2.4 in 1 cup of chopped raw cabbage which will help you control your appetite. The biggest advantage is even if you tend to have extra serving of cabbage, it won’t increase much of your calorie intake. Try cutting down 500 to 1000 calories from your daily calorie consumption to achieve healthy weight loss or up your exercise level and eat healthy food . Have your salads with added cabbage into it.